In this website, you can also find a lot of useful links to various online references, such as dictionary, encyclopedia, free online library and exc. 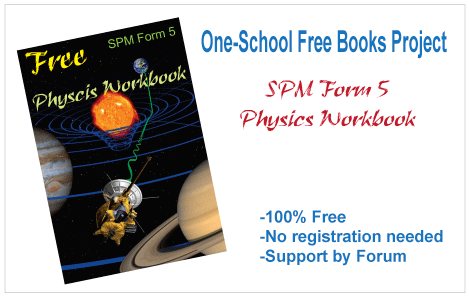 We currently are building a series of SPM and PMR reference books by a group of volunteer teachers. The subjects that current planned are SPM Chemistry, Physics, Biology, General Science, Mathematic and Additional Mathematics. More subjects will include in this project in the future.